The Christkindl Village is a celebration of the holiday with a traditional Christmas Market, presented by St. John the Evangelist Catholic Church. This event, that attracts thousands, is in its 7th year and is a lasting tradition for the people of Indianapolis and their visitors, including a canopy of lights, live Nativity, kids’ and teen activities, photos with St. Nick, German foods, Beer and Wine Garden, musical performances including caroling, and the sights, sounds and smells of Christmas. 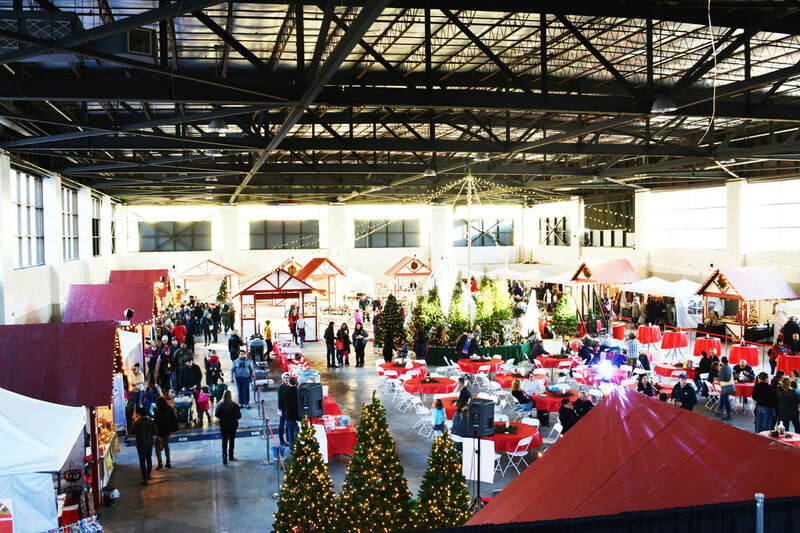 We hope that you will join us in the expansion of the Christmas Market, providing gifts, goods, treats, arts, or crafts for our patrons to purchase. The Christkindl Village will take place on the West Block of Georgia Street, in the Old Pan Am Ice Rink and on St. John's Parking Lot. All are welcome! For more information see our Vendor Flier or contact Brittany Scher, Director of Finance. Dragonwood - Pure honey, flavored honey, beeswax, flavored maple syrup, infused maple syrup, pure maple: syrup, cream, candy, sugar. Nighthawk Gliders - Balsa Wood Catapult Gliders and Laser-Cut Build Kits -- Great Stocking Stuffers! INDYARDART - Hookboards, boxes, lamps, etc. All made from Upcycled Materials; yardsticks, matchboxes, etc. Anna Leas Crafts - Soft sculpture Santas, Snowmen and Angels. Wreaths with soft sculptures. Fran's Place - Vintage estate jewelry; sterling silver and sterling with 18k gold pieces. Rings, bracelets, necklaces, pendants, earrings, and chains. Pieces have authentic semi-precious stones. Usborne Books & More - Both entertaining and educational children's books. Books range from birth to young adult age levels.